After the resentencing decision was handed down. 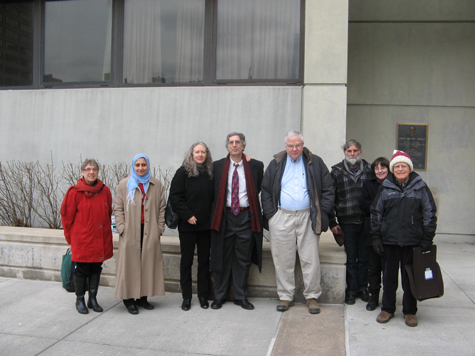 Â Outside the Federal Building. 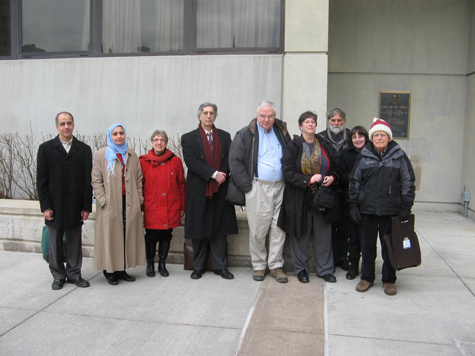 Left to right: Mohamed Khater, Magda Bayoumi, Linda Bergh, Peter Goldberger, Bob Elmendorf, Barrie Gewanter (ACLU), Max, Susan, and Bob Newman.